We all go through difficult times in our lives. During these moments we seek comfort from our friends, family, or therapists. Unfortunately, we don’t always find the peace that we’re looking for that way. Sometimes, we need to try something different. When you search for advice, answers, or healing, visiting a psychic or medium is a wise decision. You just have to be sure to avoid frauds and scam artists. Lucky for you, in this guide, we will give you tips on how to do just that and find a decent option. After all, everyone deserves help from a reliable and honest psychic medium that can help them find the healing they need. 2 Are Storefront Psychics the Real Deal? While some people believe these terms are the same, there is a big difference between the two that you need to be aware of. Let’s begin with psychics. Psychics are intuitive individuals who receive messages from the universe by tuning into your personal energy. They are able to provide you with guidance regarding your personal life. This ranges all the way from relationship advice to work troubles. A medium, on the other hand, can receive messages from someone who has passed away. They can communicate with spirits, angels, or deceased individuals. People usually seek their services to receive closure or tell their loved one something they didn’t get to while they were alive. Connecting with the afterlife gives people comfort, helping them work through their grief. While these terms are not the same, many psychics have become great mediums and vice versa. Their natural psychic ability opens new doors for them. While this isn’t uncommon, they still tend to be better at one or the other. It’s best to go with someone who specializes in one specific area. In short, if you need life advice go to a psychic. If you want to communicate with a spirit or angel, go to a medium. 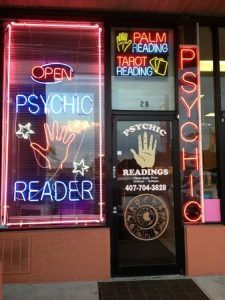 Are Storefront Psychics the Real Deal? A real deal psychic or medium will usually never sit behind a window to try and attract clients. You really need to be careful of these psychics since most of them have been shown to be frauds. Usually, if someone has special abilities and amazing intuition, they don’t need to sit behind a window to get people to consider their services. Other ways you can tell they are not reliable is if they say things like “I sense darkness inside of you” as you’re walking by. From here they will invite you to ask them a question and this is where they take your facial expressions, body language, and other information they’ve acquired from you to trick you into a reading. 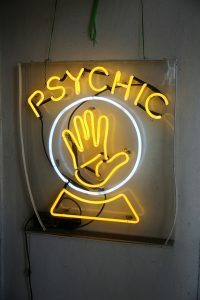 It’s often difficult to tell the good ones apart from the bad because of how good some “psychics” are at lying to people in order to make a few bucks off them. So, if not psychics that advertise behind windows, then who? Word of mouth recommendations are always best. This applies to many things that go beyond finding a medium or psychic. It may be embarrassing to ask those around of you if they know of someone. However, you may be surprised to find that you’re not the only one who’s considered paying a medium a visit. If someone has had a good experience with a specific psychic, they will recommend you. Therefore, good psychics don’t need to advertise their services behind a window. Word of mouth recommendations go a long way. If they are reliable and trustworthy options, this is enough advertising for them. If you can’t bring yourself to ask those around you, look online. Reading reviews is also a good option to get in touch with the best-known psychics in your area. You want to have a decent connection with your psychic and a great way to meet several is attending a metaphysical fair. Here you will also learn about readings, spirit guides, palm readings, and more. There will be several machines that can be fun, however, you won’t receive any useful information this way. Human interaction is key. These fairs are good ways to meet different mediums, however, keep in mind that not all of them are legit. If you don’t feel like they’re being honest with you and are simply making things up to get you to stay, don’t stick around. You want to pick someone who you feel comfortable with and get a good vibe from. Then, of course, you can always conduct some more research on the psychic online. Look up their name and company to find out some basic information about them that will help you narrow down your decision. Metaphysical fairs are good starting points to meeting and learning about mediums in your area. Our recommended choice for you is to browse through a psychic network online. These platforms are filled with experienced, reliable psychics. Yes, you may have to weed through some bad ones. But many of the good ones establish a presence within these sites as well. A lot of people feel more comfortable with an online psychic network because they don’t have to meet with the medium in person. Having the convenience of choosing a comfortable setting and not being in the immediate presence of a psychic allows individuals to be themselves and ask the questions they really want to ask. There is, of course, some skepticism when it comes to an online service as opposed to meeting face to face. But at the same time, there is less of a chance for fraudulent mediums or psychics to operate online. Remember that scam artists will look at your body language to pick up clues about how you’re feeling – you can’t do this online. Keen Psychics Review – Scam or Legit? Your psychic or medium should guide the session and provide honest answers with you. They are not there to scare you. They are there to offer you guidance and clarification. A genuine medium will give you both good and bad news and won’t get upset if you decide to leave in the middle of a session. How Do Psychics Get Their Information? You want to feel comfortable with the medium you go with. If you have any questions prior to the scheduled session, they should be able to answer them for you. If it’s your first time, let them know so they can give you an idea of what to expect. You will know when you’ve found the right psychic for you. If at any time you want to leave, you can. We also want to mention that the price doesn’t determine quality. Just because a medium charges more than others, it doesn’t mean they are better or more legit. While you should keep the price in mind for your budget purposes, don’t base your decision on this. Finding the right psychic can take some time. Don’t lose patience when you don’t find one right away. Deciding to consult a psychic or medium is the first step to finding peace and answers. We hope this guide has helped you understand the things you need to look for when looking for a psychic. 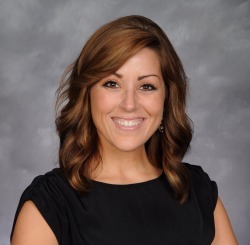 We wish you the best on your journey!